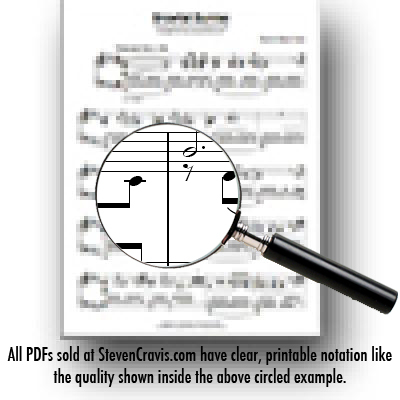 A five page piano piece, composed by Steven Cravis, from his two-song CD - " Love Songs ". This is sheet music for intermediate pianists, not an audio file. A link to download this PDF will be emailed to you upon completion of payment for your order. Also consider buying sheet music for Love Songs 1 And the audio for Steven Cravis piano music can also be purchased at iTunes. Download thousands of sheet music titles @VirtualSheetMusic for only $37.75.